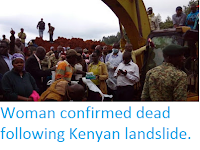 Sciency Thoughts: Landslide kills four in Murang'a County, Kenya. Four people have died and another ten have been injured after a landslide swept through the village of Murarandia in Murang'a County, Kenya, on Friday 27 April 2018. 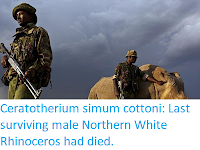 All of the deceased are said to have been in the same house at the time of the incident, which swept away a kilometre long stretch of farmland as well as several homes. The incident happened after several hours of heavy rains in the area. Landslides are a common problem after severe weather events, as excess pore water pressure can overcome cohesion in soil and sediments, allowing them to flow like liquids. 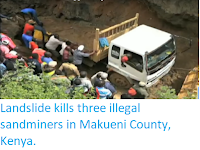 Approximately 90% of all landslides are caused by heavy rainfall. 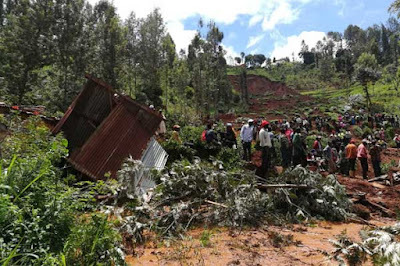 The aftermath of a landslide in Murang'a County, Kenya, on 27 April 2018. Grace Gitau/The Nation. 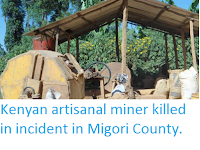 Several other villages in the area have also reported landslides, which have damaged homes and farmland, as well as killing some livestock. Flooding along the River Sagana has forced around 25 families to evacuate their homes and inundated a number of farms, while on the River Mathioya the Iyego Bridge has been reportedly been submerged. Flooding has also been reported in many other parts of the country. Murang'a typically receives over 300 mm of rainfall in April, the county's wettest month, and falls within one of the area's two rainy seasons. 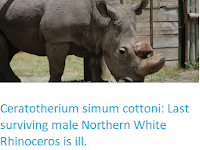 This two rainy seasons per year pattern is typical in equatorial countries, with rainy seasons around the equinoxes and dry seasons around the solstices.